There are plenty of ways to tour the city of Atlanta, and horse-drawn carriages shouldn't be one of them. Horses that are forced to pull carriages live miserable lives. They are ripped from their natural environment and made to endure the loud sounds of heavy traffic and the harsh conditions of hot asphalt under their hooves in the summer. Many of them work 7 hours a day, 7 days a week, with little break. Horses can be startled at the slightest provocation. There have been numerous stories across the country of horses pulling carriages becoming startled and bolting into traffic, endangering themselves and others, and even falling over in the streets, unable to get up. Some cities have pulled horses off the street entirely due to hot weather. 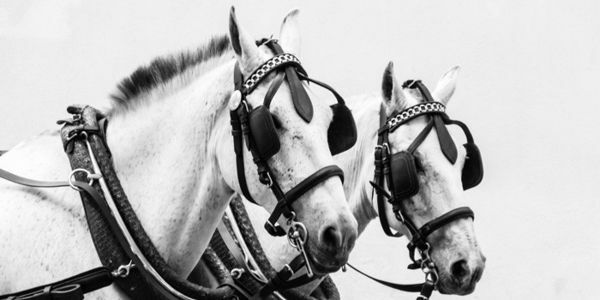 You can practically see the pain in these horses' eyes. Why not move them to a sanctuary, or out to a farm, where they belong? Please sign this petition if you would like to see Atlanta end the use of horse-drawn carriages.